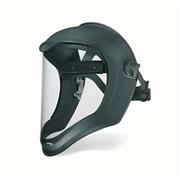 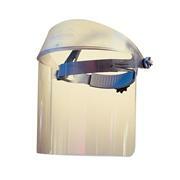 Lightweight plastic bracket fits into any slotted hard hat. 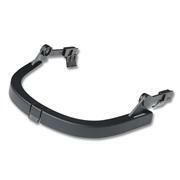 Bracket accommodates ORIS® earmuff systems. 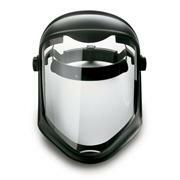 Bracket cam lock system accepts a wide range of face shields. 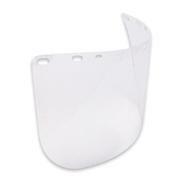 Bracket 1215F24 fits Everest wide brim hats only. 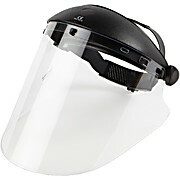 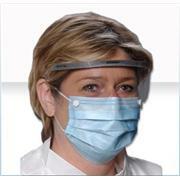 Eye and face protection is essential for anyone working with UV light sources. 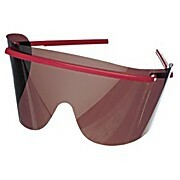 The specially formulated plastic construction of the eyewear blocks ultraviolet transmission over all UV wave lengths. 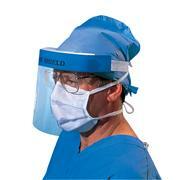 For additional protective eyewear, see Thomas numbers 5774F10 and 5774H48. 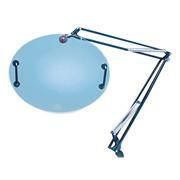 For island and against-the-wall bench spaces Single and double designs Fully adjustable Move side to side, up and down at the touch of a finger After selecting desired shield, order appropriate mounting fixture. 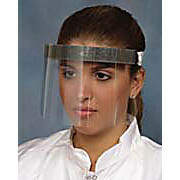 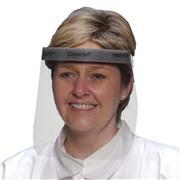 …headdress Biohazard/Transparent Note: UV protection from 200 to 360nm (UV radiation may cause the polycarbonate to develop a slight yellow/brown tint). 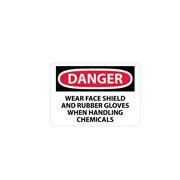 Note: Do not use with radioisotopes. 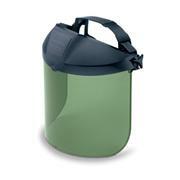 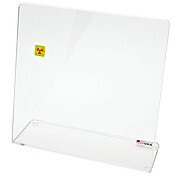 Use Nalgene beta-radiation shields when working with beta-radioisotopes. 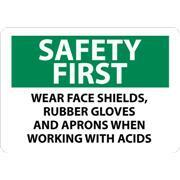 Do not autoclave. 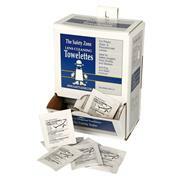 …Towelettes from The Safety Zone. 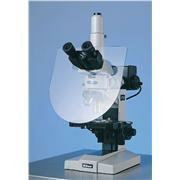 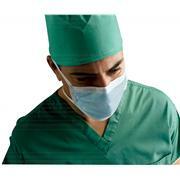 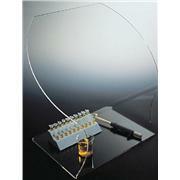 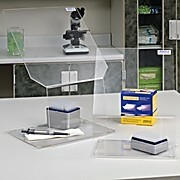 The anti-fog, anti-static towelettes work for plastic, glass and polycarbonate lenses. 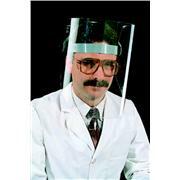 They're ideal for use on safety goggles, face shields and glasses. 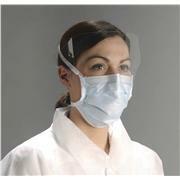 Contents: 100 pre-moistened lens cleaning towelettes. 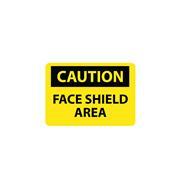 Note: Not for use with contact lenses. 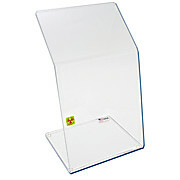 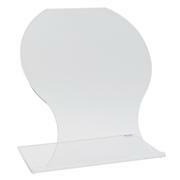 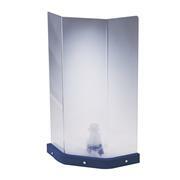 No eye level distortion, flat Extra wide top with arm cutouts Can be comfortably used either standing or sitting Lower area of shield is just 12" wide Fabricated from 1/4" clear acrylic with non-skid feet. 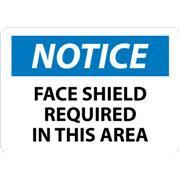 Face area dimensions: 20" W x 15" H.